IRC won the $100,000 Grant from Impact 100 PBC for our Restoring the Gold Coast Program! 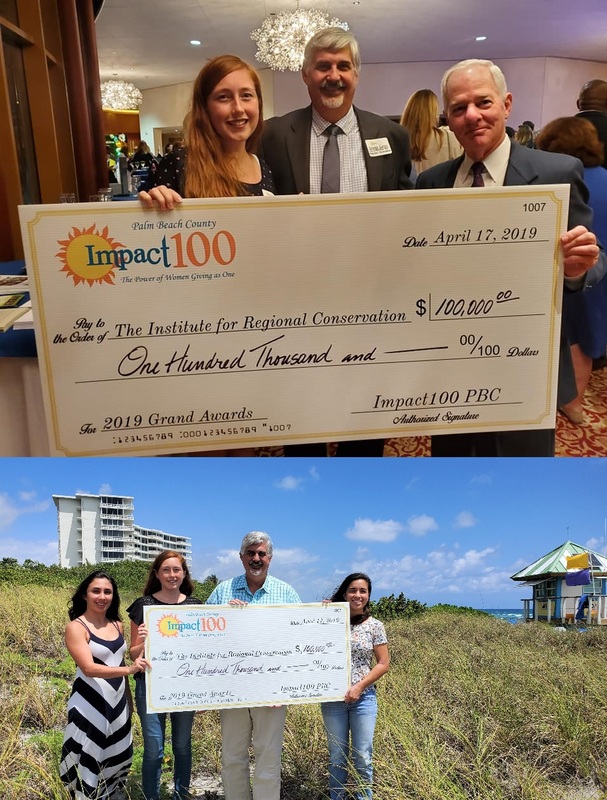 IRC is honored to announce that we have been chosen as the winner for an Impact 100 Palm Beach County $100,000 grant for our Restoring the Gold Coast program in the Environment category! We would like to thank the influential women of Impact 100 PBC for giving us this opportunity to present our program and aiding us in spearheading this exciting project. We would also like to spotlight Wisetribe's Junior Wisetribers program, which was awarded $8,600 in the Environment category. Jacqueline Botting and her team are making positive, sustainable changes in our community with their innovative programs. If you haven't heard of Wisetribe, check them out and get involved! IRC would like to thank all who have supported us throughout this process of applying for and winning this amazing award! In particular, we would like to acknowledge those organizations who gave us official endorsements or wrote letters of support for our grant proposal: Beach Property Owners' Association, City of Boca Raton, City of Delray Beach, Fairchild Tropical Botanic Garden, Gulf Stream School, Florida Coalition for Preservation, Keep Palm Beach County Beautiful, Ocean Ridge Garden Club, Palm Beach County Chapter of the Florida Native Plant Society, and Town of Briny Breezes. We also look forward to partnering with Bound for College, Florida Atlantic University's Environmental Sciences Program, and many others. We send a special thanks to Jerry Lower of The Coastal Star, and IRC volunteer and supporter Bill Petry, for helping us with outreach in the community. Thank you to IRC board members John Campanola, Robert Heinzman, and Allison Turner, and our public relations specialist Tina Pugliese, for invaluable assistance. Finally, we can't say enough about Kirsten Stevens and Ann Paton of Kannico Agency, whose wisdom kept us on track. We couldn't have done this without you all!